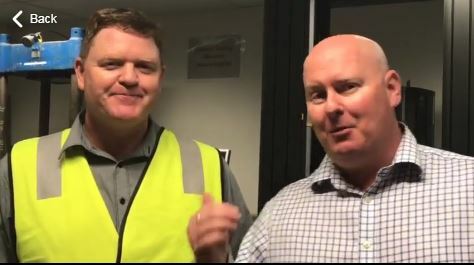 Last week the “People” Lead Team from BlueScope Australia and New Zealand visited the Orrcon Steel Salisbury site and were very impressed by the growth of the business and the site investment to improve output and productivity. Site Manager, Daniel Crompton, shared some interesting insights including his long family history with the business – dating back to when his father-in-law established the mill in 1989. The lead team was very happy to see the safety initiatives underway (e.g. Personal Big 5) and the positive vibe around the site.